Take every opportunity to exercise. 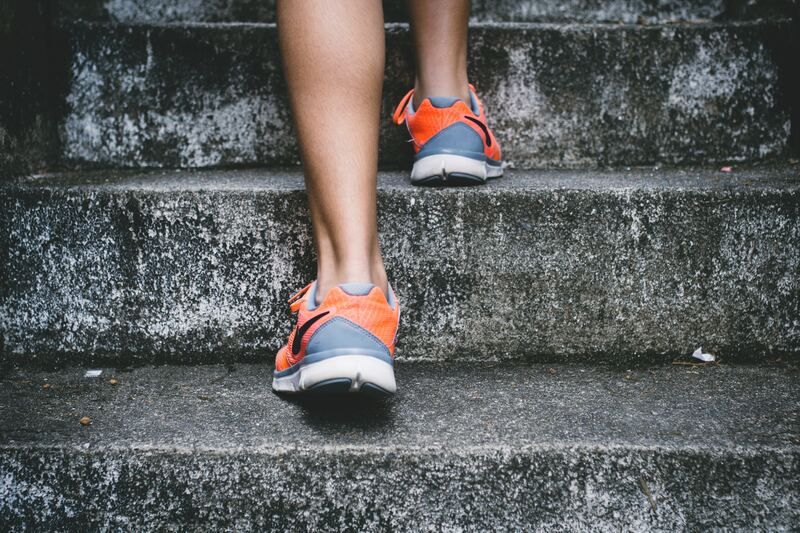 Even opting for the stairs instead of taking the elevator can make a positive impact on health. Speaking on the sidelines of the TiE Global Summit III, panellists of the ‘Health For All: A Billion Person Opportunity’ spoke up about the need of the hour—preventive healthcare. The practicing physician and founder of A4 Clinics works to bring down the number of unnecessary disability in India through advanced robotic and technology-based rehabilitation and care. Regretting the lack of investment in health by most people who tend to spend only when ill, Sandeep Sinha, chair of the panel and co-founder and managing partner of Lumis Partners, shared how preventive healthcare was restricted to only a small percentage of the population. “Only those who are very progressive and think ahead are practising this,” he said. “I believe in the second half of the word healthcare,” Gramin Health Care founder and chairman Ajoy Khandheria added. So Gramin Health Care focuses on primary healthcare in rural India and is working to “capture the health records of the whole family, over the next three to four years,” to monitor any signs of illness. “My wellness mantra is to focus on the preventive so that one does not have to resort to the restorative. Eat right and work out regularly, keep it simple,” advised Sinha. “Constant digital distraction is impacting our focus and attention negatively. Technology is neither good nor bad, but it is not neutral, if you don’t control it, soon it will start controlling you,” she added. Co-founder and CEO of SigTuple Rohit Pandey has another approach that fits his business model of modern diagnostic methods that uses AI in pathology. “In order to prevent disease,” Panday said, “you have to get yourself checked periodically, it is necessary for both preventive and curative care.” Diagnostic data is the only source of truth in the healthcare industry, he added. The TiE Global Summit claims to be the largest global entrepreneurial leadership summit that brings together the TiE community of entrepreneurs from across the globe. In its third edition, the event went a step ahead by becoming more inclusive and adding sign language to relay the talks being delivered besides an exclusive women’s forum.